Boost and brighten your complexion with the Sarah Chapman Intense Hydration Duo, containing a pair of the brand’s bestselling products to moisturise, strengthen and tone the skin. 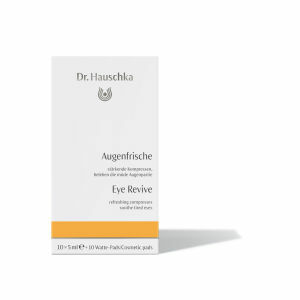 The serum and sheet mask work in harmony to create a radiant and healthy-looking visage. The bio-cellulose sheet mask utilises a concentrated complex of Pentavitin®, Hyaluronic Acid and Rosewater, which work in tandem to bind water levels for optimum hydration. A mineral-boosting trio of Zinc, Copper and Magnesium helps to activate cell regeneration and combat the ageing glycation process. As a result, skin feels more even, plump and toned, with the appearance of redness and fine lines effectively minimised. A lightweight, oil-free serum that works to instantly refresh, comfort and restore skin's radiance. Blending protective Bioecolia® and Beta Glucan with low molecular Hyaluronic Acid, the silky formula kick-starts the skin's natural defences, shielding from everyday environmental aggressors while inspiring a dewy, more healthy-looking complexion. Providing instant moisture relief, the multi-tasking treatment also visibly plumps out fine lines and wrinkles, eradicating signs of crepiness and ageing for a smoother, more hydrated appearance. Mask: Apply to a cleansed face. Remove the mask from the foil sachet and unfold. The mask has three layers. Remove the outer protective layers. Smooth the mask layer over the entire face. Cover the eyes if required. Leave the mask on for 10-15 minutes. Discard the mask and massage the remaining serum into the skin. Booster: Apply 1-2 drops on clean skin (to face, chest and hands) am and pm, throughout the day, or mix with your chosen skincare. 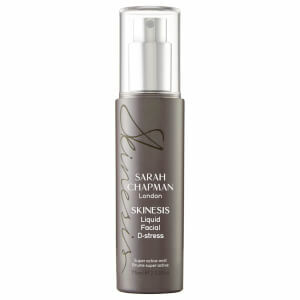 Follow with a Skinesis mask or your day/night regime. Avoid contact with eyes. If discomfort occurs, rinse with warm water. For external use only. Keep out of the reach of children. Booster: Aqua (Water), Glycerin, Alpha-Glucan Oligosaccharide, Phenoxyethanol, Sodium Hyaluronate, Sodium Benzoate, Potassium Sorbate, Decarboxy Carnosine HCL, Ethylhexylglycerin, Butylene Glycol, Hydrolyzed Algin, Beta-Glucan, Maris Aqua (Sea Water), Citric Acid, Rosa Damascena Extract, Chlorella Vulgaris Extract, Gluconolactone, Calcium Gluconate.